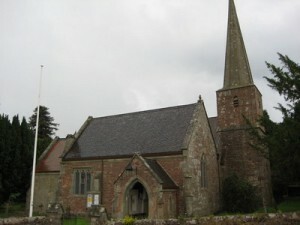 This pretty church was restored in the early 15th century, and then again in the mid 19th century. It ha a recessed spire. 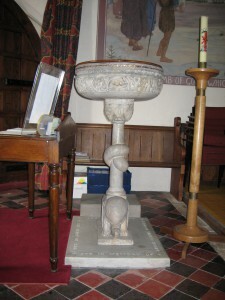 This highly unusual font is carved out of marble, and the bowl is 12th century and of Italian origin. 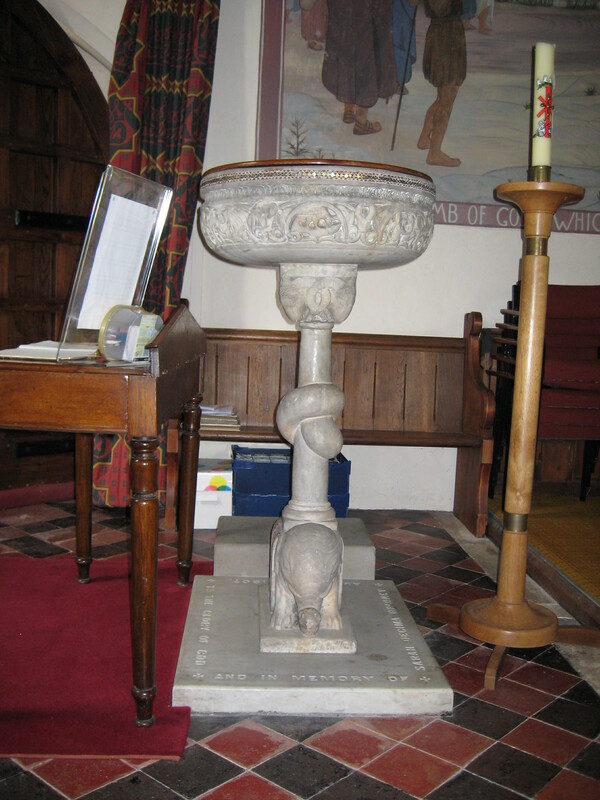 The stem is supported by an elephant, but this is of a later period than the bowl which has no drain hole, and was therefore probably a holy water stoup originally. 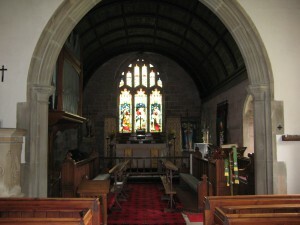 It was donated to the church by Mrs. Hope-Edwards as a memorial to her mother Mrs. Bradney.